Giraffes strut, birds swoop, gazelles leap! The entire savanna comes to life, and as the music soars, Pride Rock slowly rises out of the stage. This is The Lion King! Approximate 11am arrival in NYC for free time and lunch on own. Free time on own after the show. Every Starr Tour includes deluxe motorcoach transportation. Disney's beloved movie comes to brilliant life through the magic of Julie Taymor. The winner of six 1998 Tony Awards, including Best Musical, The Lion King tells the story of Simba, a young lion cub who struggles to accept the responsibilities of adulthood and his destined role as king. 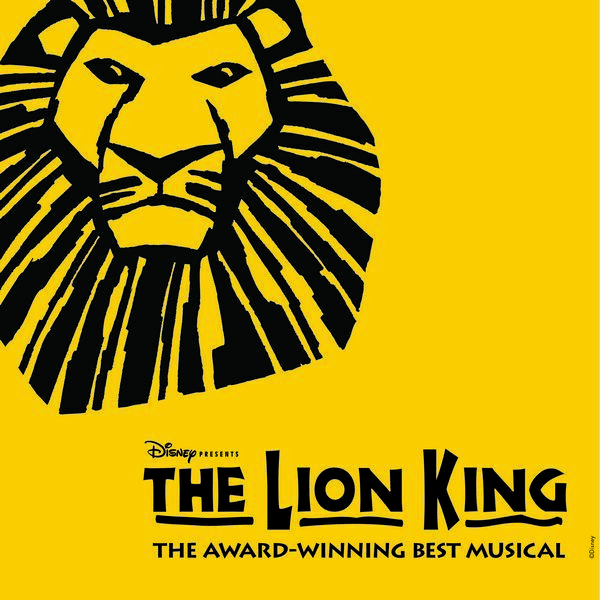 To bring the classic 1994 film to life, Disney turned to the story's roots, its rich mythology, powerful human drama and primal African rhythms to create a fantastic musical unlike anything Broadway has ever seen. Marvel at the breathtaking spectacle of animals miraculously brought to life by a cast of over 40 actors in what The London Daily Telegraph calls "a blaze of fabulous imagination." Wonder at the inspiration of award-winning director/designer Julie Taymor, as one of the most successful films in history is stunningly recreated right before your eyes. Thrill to the pulsating rhythms of the African Pride Lands and an unforgettable score including Elton John and Tim Rice's Oscar-winning "Can You Feel The Love Tonight" and songs by South African composer Lebo M, Mark Mancina, Jay Rifkin, Julie Taymor, and Hans Zimmer. Treat yourself and your friends and family to a memory that will last a lifetime at the musical Time Magazine calls "awe-inspiring" and "a gorgeous, gasp-inducing spectacle!" 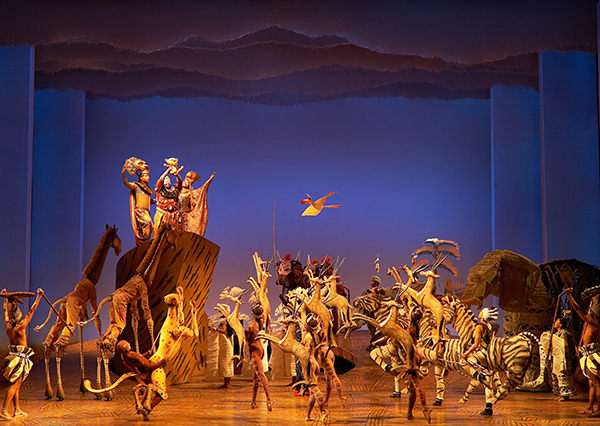 The Lion King is an adventure into another world. The Minskoff Theatre has an elevator. Restrooms and concessions are available on the orchestra and mezzanine levels. There are no steps into the theatre from the sidewalk. Elevators and escalators take you to the third floor lobby, and up again to the theatre. Valid for any salad, burger, sandwich, or chicken mac & cheese on the menu, ice cream for dessert, unlimited soft drinks, tax and gratuities. VIP Seating. Includes $5 for purchases in gift shops. Price is $30 per person. If you purchase this meal card, you will be responsible for getting to Planet Hollywood and back from your designated pick up in New York. -For all ticketed shows and events, seating in the theatre (venue) is assigned together by reservation unless notified otherwise at the time of booking. Starr has a select quantity of wheelchair accessible motorcoaches available; therefore, we suggest you contact a Travel Advisor to discuss any needs you may have before reserving your trip.